Le Monde ran a second version of the photos I shot for them this summer using their "Les Grands formats du Monde". It looks great. Now to learn French. I was hired by Le Monde this summer to shoot a story on Nebraska farmers forced to hack their combines, tractors, and other equipment due to tight controls by companies like John Deere over who can repair the machines they manufacture. 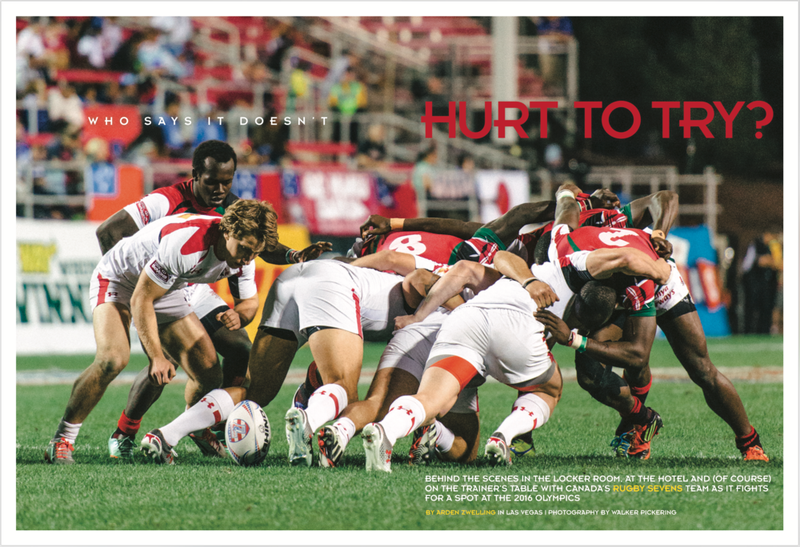 I was sent to Las Vegas on assignment for Sportsnet Magazine in March to cover the Canadian Men's Rugby Sevens team. A phenomenal group of athletes and staff alike made for a great introduction to rugby.